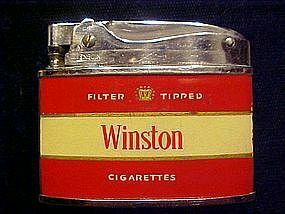 Early 1960's Winston Cigarettes Advertising Lighter made by "Penguin in Japan." The model #18250. In very good condition as per pictures. 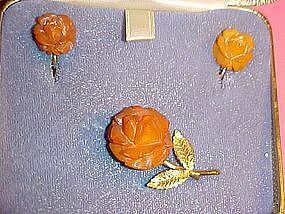 Beautifully carved Genuine Amber rose pin and earring set. Made by the "Amber Guild" which was an American Amber jewelry crafters guild. The pin is signed "Amber Guild 12K G.F.". This set is in Excellent Condition and comes with its original box. The pin measures 1 1/2" long. This set was made with in the 1940's to 1950's era. 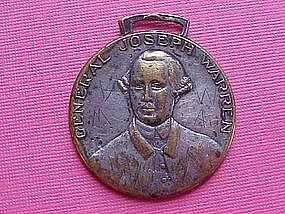 Warrensburg N.Y. Centennial Watch Fob featuring General Joseph Warren who was a Revolutionary War Patriot and Hero of the Battle of Bunker Hill. This Watch Fob was made by " Whitehead and Hoag" and was issued for the Warrensburg Centennial celebration in August 1913. It is made of silver plated brass and some of the brass is showing through due to years of used but still in fine condition. This Fob measures 1 1/8" in length. Large sterling silver victorian sash buckle. 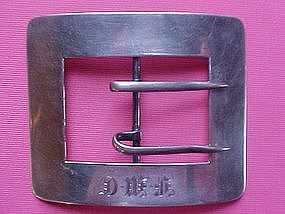 This double pronged silver buckle measures close to 3 1/2" lenght and it is 2 3/4" wide and is heavy in weight. 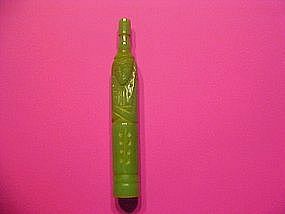 It has original three letter monogram "D.M.E" and is marked "Sterling" in the back. This buckle would look great on a wide ladies leather belt or would super on a large leather shoulder bag!!! 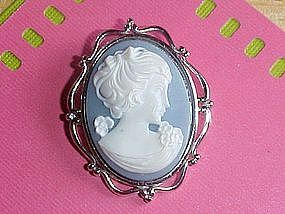 Glamorous vintage Cameo Brooch signed "TRIFARI." This pretty cameo is a 1950's plastic composition featuring a pretty ladies bust of Ivory on a light wedgwood blue background set into a silver colored metal frame signed "TRIFARI." 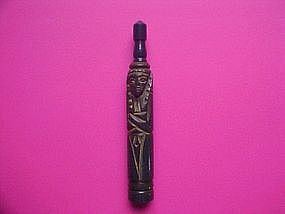 It measures 1 1/2" in length and it is in Excellent Condition!!! 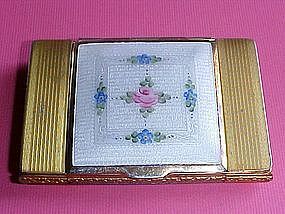 Vintage multi color rhine stone gold filled pin signed "Van Dell 1/20 12K G.F.. This pin is 1 1/4" in diameter. 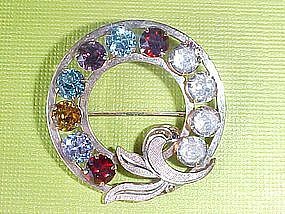 Although a smaller pin it is a real eye catcher with its large multi color rhine stone scheme. Van Dell corporation was founded in Providence, R.I. in 1943. This company is known for its high quality costum jewelry. 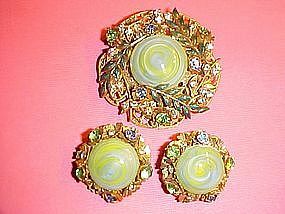 Exceptional 3 piece set consisting of a Brooch and a pair of earrings. Signed AMOURELLE. 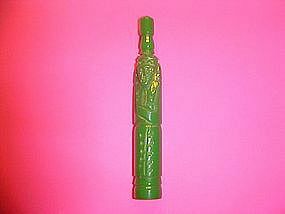 Made by Kramer in the early 1960's. 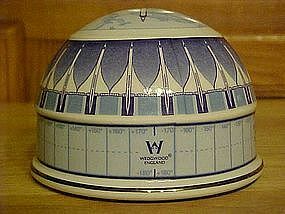 Designed by Frank Hess, a famed Miriam Haskell designer who came to work for Kramer in 1963. His Amourelle line is of compareable quality to that of his Haskell designs. This set has it all!!! 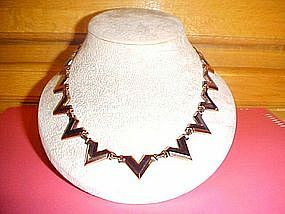 Hand crafted, enamel work, set rhinestones and more!!!! It is in Fine Condition!! 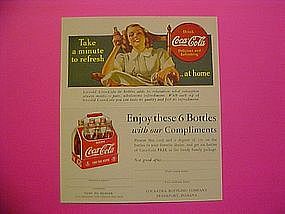 Original early 40's Coca-Cola Ad with coupon that entitles costumers to a free 6 pack. This super piece is printed on cardboard the thickness of a postcard. It is in Excellent condition. The card and the coupon are attached to each other by a perforation. This item measures 6 1/2"X5 1/2". 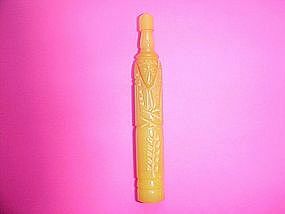 It was issued by the COCA-COLA BOTTLING COMPANY, Frankfort, Indiana. 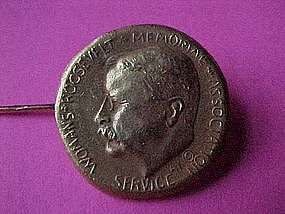 Original President Teddy Roosevelt (TR) bronze pin created for the Women's Roosevelt Memorial Association (WRMA), which recreated TR's Summer White House in 1923 to reconstruct the site. This solid bronze pin was made in 1920 by " The Standard Emblem Co. of Providence RI." This company's information is signed in the back of the pin. 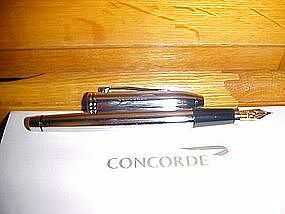 This item is in EXCELLENT Condition!